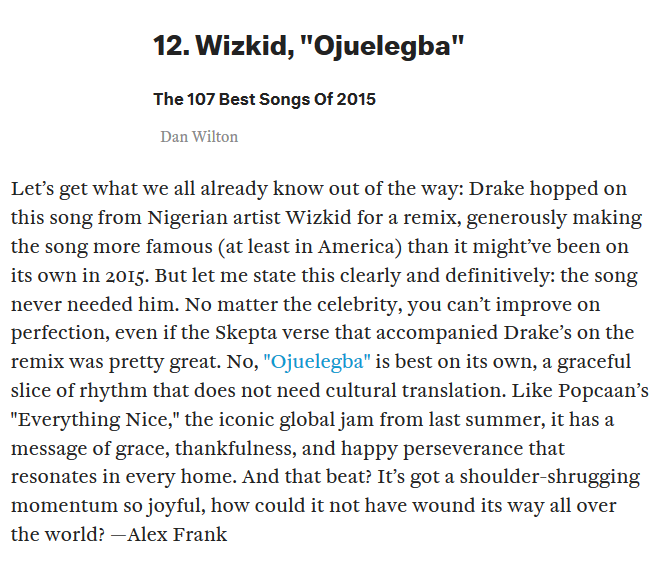 Wizkid has achieved a new feat as popular US Magazine,Fader has ranked his song Ojuelegba remix with Drake and Skepta as the 12th biggest song of the year 2015. 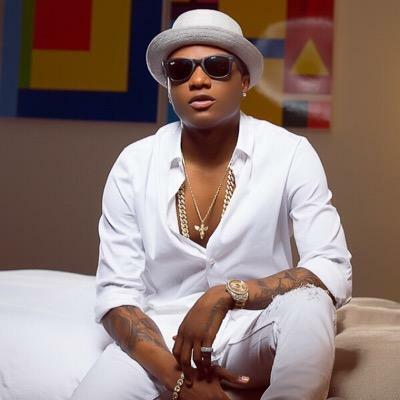 His song was among a list of 107 put together by the magazine.This list includes world famous songs like Hotline Bling by collaborator, Drake with the number one spot going to Justin Bieber's "Where are you now"
“Let’s get what we all already know out of the way: Drake hopped on this song from Nigerian artist Wizkid for a remix, generously making the song more famous (at least in America) than it might’ve been on its own in 2015. But let me state this clearly and definitively: the song never needed him. No matter the celebrity, you can’t improve on perfection, even if the Skepta verse that accompanied Drake’s on the remix was pretty great. No,”Ojuelegba” is best on its own, a graceful slice of rhythm that does not need cultural translation. Like Popcaan’s “Everything Nice,” the iconic global jam from last summer, it has a message of grace, thankfulness, and happy perseverance that resonates in every home. And that beat? It’s got a shoulder-shrugging momentum so joyful, how could it not have wound its way all over the world?”.